Calling all Warrior Women - BATL - The Backyard Axe Throwing League brings axe throwing to the Women's Show! The BATL mission is to show people the power of being good to each other, using the axe as a tool to build community. The team is immensely proud to have been the first organization in the world to offer an urban venue to experience the thrill of indoor axe throwing - and now is your chance to try it for yourself! Celebrate Girls Night Out with the new Ketel One Botanical, vodka distilled with real botanicals and infused with natural fruit essences and made with real ingredients - no sugar, no artificial sweeteners and no artificial flavors. Sample three delicious varietals including Peach & Orange Blossom, Cucumber & Mint, and Grapefruit & Rose at the Southern Women’s Show in exhibit #348. Craving a dessert cocktail? We’ve got you covered with Baileys Almande, the delicious dairy-free almond milk liqueur, perfect for a light-tasting treat. Try three varietals of indulgent Baileys, also in the exhibit #348. The Michigan Lottery money mobile is pulling into the Michigan International Women’s Show and putting the wheels in motion for some lucky winners! Pick up all of your favorites games – from Powerball, to Mega Millions, to dozens of Instant Games! Four-legged fashion for a cause! Don’t miss “Pawject Runway”, the Guardian Angel Animal Rescue Fashion Show, Saturday and Sunday at 2pm. Featuring precious pups saved from the streets of Metro Detroit, these canine cuties are putting on the charm to find their furever homes. Hearts will be stolen. 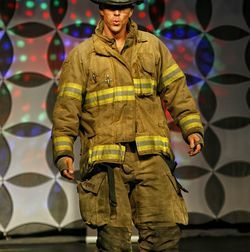 The Firefighter Fashion Show is a longstanding Women’s Show tradition, and the hunky heroes are back once again to burn up the catwalk for a great cause! The brave men from the Ann Arbor Fire Department prove there’s nothing better than a man in uniform so bring your besties, your dollar bills and don’t forget your cameras! Catch them on Friday at 6pm and Saturday at 5pm on the Fashion Stage. 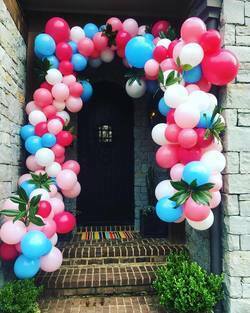 Party Animals will be creating a balloon feature at the Southern Women's Show for all your must-have selfies! They will also have face painting and a balloon artist onsite. Owner Connie Iden-Monds is a serious pro. She led Team USA to its first podium appearance in the Large Sculpture Category at the World Balloon Convention 2018. The sculpture earned third place and additionally received a gold achievement of excellence. Ladies, bring your lucky charms to the show and join us each day on the Spotlight Stage for Blinged-Out B-I-N-G-O! hosted by the Ann Arbor Firefighters! One winner each day will have their choice of one mystery bag from Salena's Accessory Showcase.